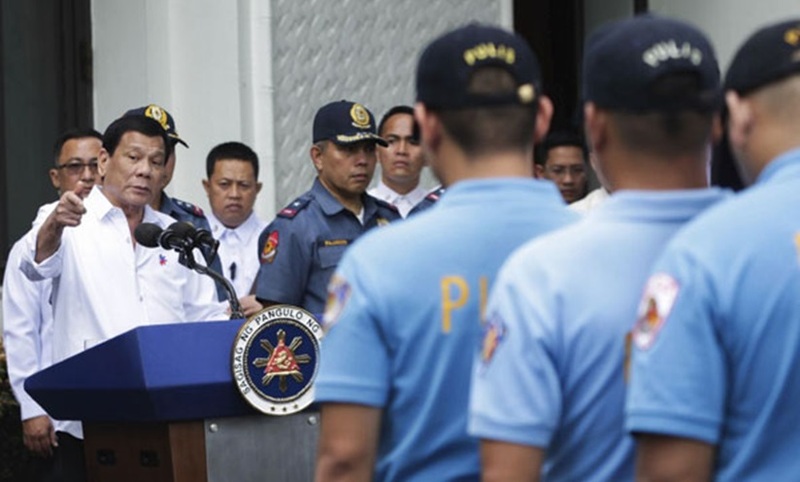 The entire force of the Bohol Provincial Police Office (BPPO) has been readied and placed on alert for the arrival of President Rodrigo Duterte in the province on Thursday. According to BPPO director Sr. Supt. Angeles Geñorga, police have not detected any threat which could mar Duterte’s second official visit to the province as President. Duterte will be in Bohol to keynote the 25th convention of the Vice Mayors’ League of the Philippines at the Bellevue Resort in Panglao on Thursday which is the second day of the three-day event. Geñorga said that they are also monitoring cause-oriented groups which could launch protests during the visit and cause security threats and traffic during Duterte’s visit. “So far, wala naman pong [threat] pero SOP [standard operating procedure] na ho namin na magprepare,” he added. According to Tagbilaran City Vice Mayor Jose “Toto” Veloso who is also the convention director, presidential daughter and Davao City Mayor Sara Duterte is expected to join the event’s opening ceremonies on Wednesday. Special Assistant to the President Bong Go, Presidential Political Adviser Francis Tolentino and Ilocos Norte Gov. Imee Marcos, all senatoriables in next year’s elections, are also set to join the convention as speakers.